For the first time since 2010, Lex Albrecht competeted at the Québec Criterium Championships. Trade team race calendar conflicts had prevented Albrecht from returning to the competition since her previous victory, that year. The championship event, put on by the organizers of the Classique des Appalaches (http://www.classiquedesappalaches.com/) took place in Victoriaville, Québec and was won in the final sprint. 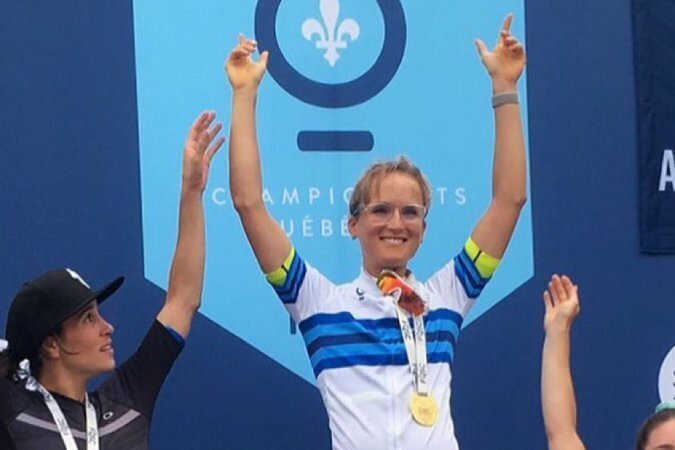 This marks Albrecht's 8th provincial champion title, and the second time she has been champion of Québec in the criterium discipline. Albrecht is now looking ahead to the Colorado Classic, a 4 day block of racing at altitude (in Vail and Denver) with her professional team, Team Tibco-Silicon Valley Bank. The race will take place from August 16-19.